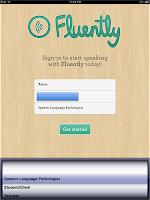 App Review: Balbus Speech "Fluently"
I was given a free code to try this app. I was in no way compensated for my review of this app by Balbus Speech. This app review is the result of my own experiences with this app. I, much like many of you, am obsessed with my iPad. I try to fit it into everything I do therapy-wise. I think it's a great motivator, an awesome wrap-up tool for the end of a session, and an even better data tracker. I also spend lots of time scouring iTunes and various websites to find great apps - I'm sure you iPad-enthusiasts do this as well! So, when I was approached by Balbus Speech to review their new app "Fluently" I was psyched, to say the least. 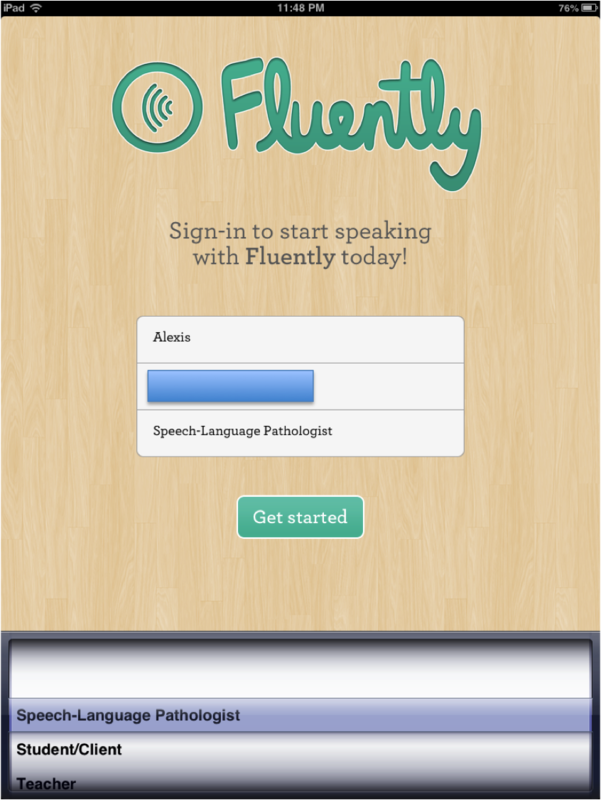 "Fluently" can be purchased from iTunes for $4.99 and it works on the iPhone and iPad. It does pretty much what it the title insinuates - it monitors fluency through easy onset using this great green-light, red-light system. When you first start the app you are prompted to login with your name, email, and "title" (student, client, SLP, teacher). I am a huge fan of anything customizable, so this was a big old bonus for me. You always want to make sure your app is functional for more than one user. I also happen to like that there are only 3 lines to fill in. A lot of times customizable apps require a lot of information that can be time consuming when you're sitting in a session. After you log in you are brought to a screen that features the green-light, as well as a sensitivity adjustment setting. I left the sensitivity bar as-is (see photo) and began to speak. The app's button glows green when fluent, easy onset speech is being produced. Leaving the sensitivity bar the way it was, I was able to speak as I would in a typical conversation and the app picked it up. When an irregular onset is detected the app's button turns red. Here I produced the word "begin". The app picked it up right away. To reset the app back to green, you just simply tap the button. Pretty easy, pretty accurate, and very cool! I'd recommend this app as a visual prompt when using the easy onset technique in therapy. Don't expect many bells and whistles, this is one of those apps where the basics are best. It's simple and clean-looking enough to be used with any age, which is great. I would also recommend it for anyone who has a dysfluency and is using easy onset. It's basically a pocket-sized visual for maintaining fluency! I never spend over $10.00 on an app, so the $4.99 fits into my app budget. If it isn't as cost-effective to you, I always say - wait for a sale! Find "Fluently" on iTunes HERE.